Since hearing the tragic news, like many others I have been besides myself. The tears just won’t stop, the chest just won’t expand and the heaviness just isn’t going away. In fact, I don’t think I’ve ever cried so much in my life, and I never realized how much I loved him. Mostafa Khalifa, an incredible community leader, pioneer and mentor, succumbed to an illness at the prime of his life and passed away this week, in the last few days of the holy month of Ramadan. He touched so many lives, as was made clear by the largest funeral procession ever witnessed by many of us in our lifetimes. There are sure to be many stories, but I would like to share just one: how his life touched mine, and what I learned from him. Some of this I have never shared with anyone, but now I feel compelled. Rutgers University-central New Jersey in the late 90s and early 2000s was a vibrant Muslim scene, and Mostafa was at the center of that. Like many others, I traveled here frequently and his face became quite familiar. He was at the forefront of organizing events and serving as the host for travelers like us. When my own family and I began looking for a better environment and Islamic schools for my own children, it was a no-brainer. It was no easy task making hijrah from your entire family (I come from a family of 9) and your home of 30+years, but Mostafa’s hospitality and support made it possible. Needless to say, he was ecstatic when he found out. I was also among the older students involved in AlMaghrib Institute in those early days (Zayd was 6 months old in our first class). That was before the days of babysitting, before most other students had children of their own and before anyone was even thinking about accommodating families. Mostafa went out of his way to make us feel welcome, and left no stone unturned to make proper arrangements for us, constantly improving things and asking for suggestions. He was a pioneer in charting a new direction in making Islamic programming friendly for women and for those with families. He did that with vision and confidence, and today it’s become the norm in many, if not most, institutions. Mostafa fully supported my family and wanted us there with him. I can never forget his excitement when my second child Sarah was born, as if he were family! Actually he was. Although we were both older students of knowledge already involved with other projects, institutions and scholars, Mostafa’s warmth kept us part of the AlMaghrib NJ family for over a decade. And what an incredible time that was! More than a decade ago, he issued a challenge to his student body to memorize Surah al-Baqarah, the largest chapter of the Qurʾān. Inspired, my wife and I took up the challenge, among many others, and we made him proud. I can never forget his beaming smile or his uncontainable excitement. His motivational style, constant encouragement and endless support were legendary. At that moment in time, full of energy and inspiration, we realized that there was no real reason to stop there, and thus we began an incredible journey that culminated in both of us completing the entire Qurʾān in the sacred city of Makkah some 14 years later. My wife and I memorized the whole Qurʾān largely because of Mostafa’s inspiration, and I never got the chance to tell him. Although I have been an Imam, khateeb and teacher, and he would always ask me to give speeches and lead prayers, I have learned so much from Mostafa, far more than he could ever learn from me. About that, I have no doubt. Imām Aḥmad in his Musnad relates that the wife of Abuʾl-Dardāʾ once asked him to stop smiling all the time because people would think he was a fool. He simply replied that he had observed the Prophet to be smiling every single time he spoke, and thus he adopted that practice. Indeed, the mild manners and constant smiling of the Prophet was so contagious that it created an atmosphere of love that transformed enemies into friends and neutral observers into the most devoted followers. That is why the books of ḥadīth are filled with descriptions of his endless smiles and his beautiful manners, written with the pen of love and the ink of melted hearts. I have always read these things about the Prophet, and even related them in speeches, but I never truly understood what they meant until I observed Mostafa in his leadership capacity. Thousands of people will attest that he was always smiling! Being in the public eye, it’s difficult to maintain your composure all the time or to be nice all the time. Many a times I have lost my cool with friends, students, and even patients. Not Mostafa. He made everyone feel welcome and loved. Every single person. Ad he never lost his calm. Even in classes with 400+ students, he gave every person his undivided attention, and never made anyone feel rushed. Which Imām or public speaker can do that? Almost none. Personally, I had never seen this with anyone before, and I doubt I ever will again. A leader must have the capacity to reach out to everyone and maintain effective communication. Before social media, Mostafa was one of the first people in our community to use email for effective mass communication. He maintained a community news list that went out to thousands in the region, with information on events, births, illnesses and key items affecting our communities. When I was receiving these, I was impressed because I had never seen that done effectively before. I absolutely loved the idea of being informed about our brothers and sisters, and I looked forward to each email. I cannot recall how many prayers I must have made for people or how many events I attended based solely upon Mostafa’s emails. Mostafa was blessed with the Prophetic ability to reach the entire community, not just certain circles. He was always in touch with who was sick, who got married, who needed help, etc. Years later, we would had a running conversation. I had joined Facebook and wanted him to do the same. Yet he was hesitant until the end. Every time we met, I would joke that I was going to start a mass petition-campaign to get Mostafa Khalifah on Facebook. He would respond with his gentle smile and characteristic laugh, which would render me speechless. 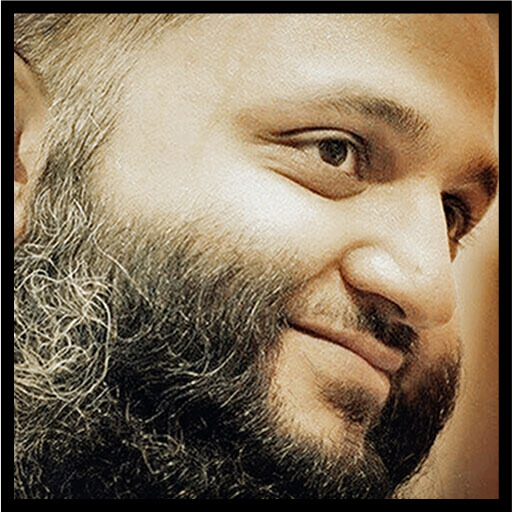 Mostafa was one of the few people I’ve seen that was able to maintain the full involvement of our sisters in a meaningful and dignified way, while at the same time fully preserving the principles of Islamic modesty. Too many of us choose one at the expense of the other. The danger of hyper-conservatism is that it fosters an artificial piety where even replying to salām carries guilt, interactions become awkward and women eventually wind up being completely sidelined. At the opposite hyper-liberal end, all basic principles of modesty and Islamic etiquettes go out the window in the name of equal involvement. Mostafa was able to masterfully balance these two dimensions. He was an older brother and leader for all. Only Allah knows how many sisters felt fully comfortable to come to him with their concerns, and how many lives he was able to touch for the sake of Allah. He maintained the dignified involvement of our sisters in every place or event he was involved in, from AlMaghrib Institute classes to the Rutgers University campus , and even in the masājid he worked with. Even in the class breaks during the AlMaghrib seminars, he ensured that sisters got equal time with the shuyukh, designating one break for the sisters to gather around the instructor to greet him and the other for the brothers! Mostafa did all of that in such a way that no one could ever think of accusing him of behavior or conduct that was anything less than Islamic. 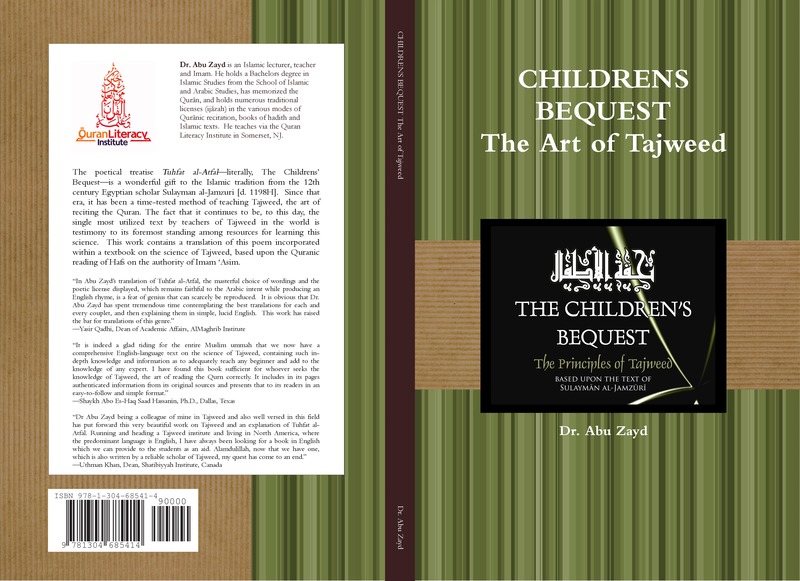 In fact, under his leadership he actually raised the bar of taqwā (piety) for both genders. In this, Mostafa was fully following the practice of the Prophet, who was leader of both men and of women. Women are the twin-halves of men, the Prophet taught, as related by Abū Dāwūd and others. The Prophet took particular care of women and never turned them away. Rather, he gave them extra time and attention, always making them feel equally important. In short, the Prophet was approachable by every person in the community, and especially women. As a matter of fact, Bukhārī narrates from Anas b. Mālik that even the little girls of Madīnah could hold the blessed hand of the Prophet and take him wherever they wanted! In our communities, where can you see such conduct today? Being at the service of others is at the heart of the Prophetic mission. Imām Aḥmad in his Musnad relates that our mother Khadījah comforted the Prophet on the day of the very first revelation by describing him as one who maintained family ties, bore the burdens of other, was hospitable to guests, and championed the rights of others. Mostafa also combined all these traits and was truly a public servant. How many food drives/bake sales/fundraising efforts did he spearhead, how many people did he help directly and indirectly, how many guest accommodations did he wind up arranging, and how many needs of people did he fulfill? There are sure to be thousands of testimonies, but only Allah truly knows the full extent of his benefit to others. Mostafa was also the absolutely most organized person you could ever meet. He was able to seamlessly bring hundreds of people into a venue for double weekends without the least bit of noise or disruption of the surroundings. In a remarkable way, he arranged class instruction, logistics, managed the breaks, made food and prayer arrangements, provided for guest accommodations and took care of the inevitable unforeseen circumstances, all without the slightest bit of chaos. In fact, the management of the venues where he hosted the seminars would often express shock that there was even an event at all, after seeing the level of organization and cleanliness. In fact, it became well-known that Mostafa’s events left the facilities, especially the bathrooms, in a cleaner state afterwards than before! My wife recalls that the only time she saw Mostafa in a less-than-happy mood was after he had received one complaint from the university staff about the state of the bathrooms. He gave the class a long reminder, without smiling. He was quite upset. There was pin-drop silence because we had never seen him like that before. It never happened again. It is a tragedy that we have completely abandoned this Islamic ideal of organization and discipline in our communities in favor of chaos and individualism. Witness any major Muslim event, especially the parking of the cars and the arrangements of the shoes, and you will know what I am talking about. The Prophet prescribed discipline and leadership in every matter, from our prayers and our events, to even the simple case of three people traveling together. The same ummah that conducts its prayers in such an organized way, in uniform ranks behind a single leader, copying his every move, must be equally organized in all other matters! Mostafa understood this lesson well and showed us exactly what that meant. someone who loved others (or me, at least) solely for the sake of God. As for the remaining three categories, I didn’t know his private life enough but it is likely he possessed some, if not all, of them as well. My one complaint about Mostafa was that he never spent the night at my house after I moved to his area, not even when he was working late. And on at least one other occasion he caused me a little distress. He and Shaykh Muhammad Alshareef were in town while my family was away. I decided to stay home to host them. I must confess that I’m afraid to spend the night alone in any house, even my own. They came very late, and Muḥammad Alshareef proceeded to use my laundry machine and dryer. After doing his laundry and eating all my watermelon, they proceeded to leave. I was mortified. And they didn’t bother inviting me (In retrospect, how could they, when I was in my own house?). I don’t know if I confessed my fears to them but after they left, I locked myself in the bedroom until the morning. There were many other humorous moments, but in the end, Mostafa was a spiritual anchor in my life and one of my biggest supporters. He facilitated my move to the area, introduced me to the community, arranged lectures and programs for me, and supported my academic work and vision, including this very blog. As such, he deserves a lot of the credit for the little work that I am involved with. I have served as acting Imām in some places, led Tarawīḥ prayer in others and taught hundreds of students through my own institute: the Qurʾān Literacy Institute, and God-willing he has a great share in that reward. and at the best time (last third of the night)! One of Imams during his condolence ceremony confessed that he personally felt all the signs of Laylatul Qadr (the Night of Power) on the night of his demise. In the end, thousands mourned the passing of Mostafa Khalifah, attended his funeral rites and bore witness to his legacy. These masses included every race, age and gender, but predominantly the young. The funeral prayer was the largest every witnessed in the Islamic Society of Central Jersey, and the burial proceedings at Maqbarat al-Salaam were also likewise historic, with parked cars backed up to the highway. Those masses were all living witnesses to his legacy. In one of the first AlMaghrib classes, I was being pushed by some to become the Ameer of Durbah (as the student body of AlMaghrib NJ would come to be named). I was quite dismayed, because I knew better. Fortunately, Muhammad Alshareef was a man blessed with insight into the character and abilities of others, and he absolutely made the right choice in choosing Mostafa. As for me, it was an absolute honor being a loyal soldier in the army of Mostafa. I will never forget our time together. What I wouldn’t give to see his smile again, hold his gentle hand and listen to his long announcements (which I would kid him about). But as Mostafa himself taught us, God decrees as He chooses and we are His patient slaves. I will always cherish my time with my beautiful brother, and Mostafa will always be my Ameer. So beautiful. I miss this brother so much. I am a sister that barely interacted with him but he was so kind to my family and I that when he passed away I really cried – and I’m not a crier. I myself didn’t realize how much I loved him for the sake of Allah. I am heavy with guilt for never appreciating him properly. I hope we all meet him in Jannah in the next life Insha’Allah. Jazakum Allahu khair for this beautiful post. So many gems to get out of it, especially for the umarah of AlMaghrib. I am definitely going to read it again and again. I am just sad that I didn’t know Br Mostafa myself. I think #5 is best. It perfectly illustrates his nobility & manners, his righteous dealings even w/ non-muslims. Righteous noble kindness is what he was. IsA he’s flying around jannah as a shaheed. Very touching. May Allah swt grant him the best of the life of qabar and the akhira and make us more like him. Thanks for sharing that… wish I would have known the brother better. Its always a loss to the community when a shining light flickers out, in this case a bright shining light.